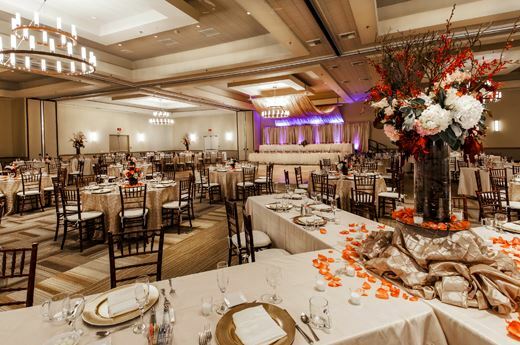 Situated at the heart of Central California, the Visalia Convention Center has distinguished itself as one of the premier mid-state meeting destinations. The Center features 114,000 square feet of flexible, distraction free exhibit and meeting space designed to maximize your event requirements. Newly installed arena seating allows for the perfect vantage point for concerts and sporting events. 2400 FREE parking spaces within four blocks are available for the convenience of your attendees. Deposit Required -- Contracting at 6 months before date of event. Deposit Required / Contracting 6 months out. Welcome to our Secret Garden, located in the San Joaquin Valley of central California. It is simply the most intimate, beautiful and romantic setting you could imagine for your wedding. At one corner, surrounded by crape myrtles and standard roses is the romantic ceremony gazebo. At another corner of the 2 acre garden is the large permanent dance floor where your celebration will continue dancing into the evening amidst twinkling tree lights, warm candle glow and millions of stars above.